Infrared heat is very healthy for us and is provided naturally by the sun. There are numerous benefits to using infrared heat. Infrared has been used for many years to treat many ailments including, rheumatism arthritis and various skin complaints. They are also used by sports injury clinics to help speed up recovery of muscle and tissue damage. They are also used as the source of heating incubators for premature and small babies due to it’s healing and health benefits. 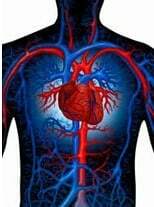 Clogged and blocked arteries find it harder to expand and contract, which slows the blood flow around the body. When exposed to Infrared heat, toxins are neutralised, the arteries widen, and the blood cells expand, resulting in increased blood flow, which helps balance blood pressure and allow more oxygen around the body, leaving us feeling more alert and energetic. This increased blood flow can also help us sleep better, and waken more refreshed when the panel is used in the bedroom. The white blood cells, lymphocytes, are our defence system, along with other types of white blood cells. So, by increasing the production of white blood cells, the immune system is stronger, helping us fight off infections, virus and germs. Infrared heat doesn’t dry the air, so moisture in the skin remains in the skin, just as nature intended. Cleaner air Infrared heaters do not rely on air circulation to transfer heat, which reduces the movement and transfer of dust particles, pollutants, pollen and bacteria. This greatly reduces chances of asthma attacks, and eases the symptoms of many other allergies and breathing conditions, and has been used to treat bronchitis, sinusitis and nasal congestion as it reduces inflammation, swelling and mucous blocked passages, easing cold and flu symptoms. Trapped toxins Molecular vibration Freed toxins As well as supplying nutrients and oxygen to our cells, tiny blood vessels also carry away the bits we don’t need. Lactic acid, additives used in food processing, fat from both consumed foods subcutaneous fat caused by tiredness and ageing, interfere with this process. As toxins, encased in blood and water, accumulate around the body, blood circulation is impaired, leaving us feeling unenergetic, and generally unhealthy. Infrared rays cause the blood and water molecules to vibrate against each other, separating the casing that traps the toxins, and widening the blood cells to increase circulation which carries the toxins away.